Everyone knows that standardized test scores—ACT, SAT, SAT Subject Tests, AP Exams—are critical components of any college application. We decided to write this guide to answer the most common questions we receive from students and parents to help you make the right standardized test decisions and maximize your college admissions odds. If you have a standardized test question not yet covered, please write it in the Comments section below so we can respond to you personally and add your question to the article to make it as comprehensive as possible. When should I take the ACT or SAT? Should I complete the optional essay section of the ACT or SAT? What is a score report? How do I send colleges my test scores? If I took the ACT and SAT, which test score(s) should I send to colleges? Is it really OK to not send test scores to test-optional colleges? What are the last ACT and SAT test dates from which schools will still consider my score? How many AP courses and tests should I take per year? What is considered a good AP Test score? Should I report AP Tests on which I scored a 3? Should I prioritize taking certain AP courses and tests over others? What if I’m an international student and my school does not offer AP courses? While the ACT is currently more popular than the SAT, colleges have made it clear that they do not prefer one or the other. Before getting into the weeds about ACT vs. SAT, it’s important to know that the two tests have gotten more similar since the “new SAT” was introduced in 2016. More time per question: If you struggle to complete tests on time, the SAT may be the right option for you. Less geometry: The SAT has about a third of the geometry questions that the ACT does. Less science: While the SAT does not have a dedicated science section, science concepts do appear throughout the exam. Easier to navigate questions involving reading passages: The SAT usually provides line numbers corresponding to various questions and lists questions in order. The ACT lists questions in random order. Less challenging vocabulary: The SAT includes more advanced vocabulary words and more vocabulary questions overall. Fewer evidence questions: The SAT often tests your ability to refer to certain parts of reading passages to answer questions correctly. The ACT, on the other hand, requires far less effort in trying to “explain” how you arrived at your answer. Subject matter is clearly separated across sections: On the ACT, science questions appear in the Science section, and so on. On the SAT, you may encounter, for example, science passages in the Reading section. You like science: The ACT has a science section, whereas the SAT does not. If you enjoy nerding out about experimental design in addition to questions incorporating charts and graphs (the SAT tests only the latter), you may prefer the ACT. Allows calculator use throughout the exam: If you don’t like or feel comfortable doing calculations by hand, the ACT may be the way to go. The SAT has a no-calculator section, though the calculations you’d be required to perform by hand for that section tend to be fairly simple. In summary, the ACT and SAT appeal to different students, so choose the one that most plays to your strengths and minimizes your weaknesses. Most students should take the ACT or SAT during junior year. The following link provides great testing schedule recommendations. There is evidence that shows taking the ACT or SAT more than once results in higher scores. Therefore, we recommend choosing one of the exams, studying very hard for it, and taking it during consecutive administration dates. This decision should largely hinge on your school list. If even one of the schools you’re certain you’ll apply to requires that you complete the essay section, then you should. A score report is the official record of your standardized test score(s) that colleges use to verify your self-reported scores. You’ll have several opportunities to send your scores to colleges. Beyond the first four—and any time after you take your exam—you will have to pay a fee to send score reports. Ordering additional score reports can easily be done online. Your primary consideration should be to send whichever score is higher. 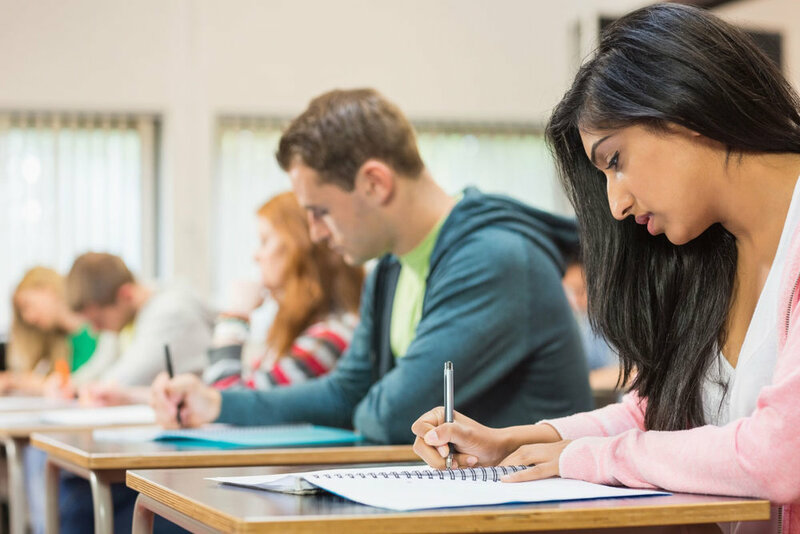 Because the ACT and SAT are scored with different scales (i.e., 9-36 vs. 400-1600 for composite scores, respectively), it’s difficult to compare scores directly. Fortunately, ACT and College Board publish ACT/SAT concordance studies each year to help you with SAT to ACT conversion—and vice versa—and figure out which of your test scores would be considered the highest. Nevertheless, there are things you should consider beyond your highest score, including how many times you took each exam and how you did across multiple administrations. For instance, suppose you took the ACT twice and scored a 28 the first time (SAT: 1300-1320) and a 33 the second time (SAT: 1450-1480), yet you took the SAT once and scored a 1440 (ACT: 32). While your 33 ACT score would be considered the highest score, your 28 ACT composite may be seen as a red flag by certain elite schools, making this decision much more difficult. We would then evaluate when you took each test. For example, if you received your 28 ACT score during sophomore year and your 33 ACT score at the beginning of your senior year, we would be less concerned about your 28 ACT score under the assumption that admissions committees would view your 33 ACT score as more representative of your current achievement. We recommend you speak with your school counselor or contact an admissions consultant for guidance on how to navigate tricky score selection situations. Score choice is a policy implemented by some colleges—elite or otherwise—that allows students to choose which test scores—that is, from which administrations—to send to colleges. Using the example from the previous question, the student with ACT composites of 28 and 33 would be able to send details about their 33 ACT score report only to a school that allows score choice. On the other hand, they would have to send their 28 and 33 ACT score report to a school that does not allow score choice. Given that some schools allow score choice but others don’t, it’s important to strategize about which test scores to send to which schools. When deciding where to send free score reports (i.e., the four allowed per administration), you should send those only to schools that you’re 100% confident you’ll be applying to and that require you to report all test scores. On the other hand, you shouldn’t send your free score reports to schools that offer score choice, just in case you don’t do as well as you’d hoped on a particular administration and want to hide that score. Superscoring refers to the process some colleges use to take the highest section scores from the ACT or SAT, regardless of administration date, to come up with your “super score,” as opposed to simply taking the highest overall score, averaging scores, or treating all scores equally. For example, a student who received a 1520 on her first SAT attempt (720 Evidence-Based Reading and Writing [EBRW], 800 Math) and a 1560 on her second SAT attempt (800 EBRW, 760 Math) would have a 1600 super score (800 EBRW from the second administration + 800 Math from the first administration). On the other hand, a school that considers a student’s highest single-administration score would only be interested in the 1560 when making admissions decisions. Whether a college superscores tests should also factor into your decision of which scores to send to schools that allow score choice. Test-optional schools do not require you to submit your ACT or SAT results The movement is led largely by FairTest.org, which maintains a frequently updated list of test-optional colleges and universities, which crossed the 1,000-school mark as of Fall 2018 (~14% of US colleges). FairTest’s stated mission is to “end the misuses and flaws of standardized testing and to ensure that evaluation of students, teachers and schools is fair, open, valid and educationally beneficial” and they actively campaign schools to adopt a test-optional approach to college admissions. Despite recently crossing the 1,000-school mark, the test-optional list includes many specialty schools (e.g., musical conservatories), trade schools, and for-profit schools. Moreover, some programs within certain test-optional schools still require the ACT or SAT. While the number of test-optional schools has significantly increased over the last several years, top colleges have historically resisted. In June 2018, however, University of Chicago became the first highly selective school to join the test-optional list, leading many students to wonder which elite institutions would be next, and whether they, too, could steer clear of submitting test scores. This is where things get interesting with test-optional colleges. Just because a school classifies itself as test-optional does not necessarily mean that school is test-optional for you. It’s no secret that studying for the ACT or SAT can significantly increase your score. However, despite the proliferation of free test prep materials (most notably through Khan Academy), students with means still have access to more high-quality and individualized test prep, whether through reliable technology, group courses, private tutors, and so on. In addition to the expectation to do well on the ACT or SAT, a student with significant means and opportunities will be expected to send their score reports to selective test-optional colleges because their peers will. Therefore, make sure to honestly evaluate your context—your means, opportunities, and peers’ behaviors—when deciding whether to send test scores to various test-optional schools. This depends on the school, as well as whether you’re applying early action/early decision or regular decision. We strongly encourage you to visit each college’s website to make sure you take your tests before their deadlines. Generally speaking, the last test date that will still be considered by colleges will be a month prior to their application deadline. How many you could take without hurting your grades: While it’s better for you to receive a B in an AP or Honors class vs. an A in a regular class, you should be thoughtful about how many AP courses you could take before significantly compromising your GPA. Relatedly, you’ll want to make sure to give yourself enough time to study hard for each class so you can do well on your AP exam. How many you could take without compromising the depth of your extracurricular activities: Most applicants to highly selective colleges have strong grades and standardized test scores. Therefore, the true differentiator between standout applicants and those who are simply academically high-achieving is the strength of their extracurricular profile. Because AP courses tend to require a lot of study time, you’ll have to be thoughtful about the number you take on before compromising the meaningfulness of your extracurricular activities. What your school allows: Some schools put a cap on the number of AP classes students can take each year. Depending on how many that is, you may choose to take all or some of the offered AP courses and tests. Which colleges you’re targeting: The more selective the school, the more they’ll expect that you take the toughest courses available to you. At Ivy League and other elite universities (e.g., Stanford), you’ll want to aim for 7 to 12 AP courses exams total. How many your peers take each year: Because context matters so much in college admissions, you’ll be judged against your peers with regard not only to AP test scores, but also number of AP courses and tests taken. Any time you don't report your AP scores, you run the risk of admissions committee members assuming you scored lower than you actually did. Therefore, we typically advise you to report scores of 3 and above. In addition, make sure to check with your school counselor prior to making any AP score withholding decisions because some schools print AP scores directly on transcripts, which would render this issue moot for you. The answer depends on your overall admissions profile. For instance, if you’ve participated in significant extracurricular activities involving computer science and mathematics and are applying with a related major, you’ll be expected to have taken AP Computer Science (A or Principles) and AP Calculus (AB or BC) vs., say, AP US History and AP Government. You’ll also want to consider the difficulty of various AP courses offered by your school. For example, if you’re deciding between AP Biology and AP Chemistry, but the latter is infamous for eating up significant study time, you may want to take AP Biology. Keep in mind, however, that passing the AP test for either subject will be at least as meaningful as your grade in the class, so consider how well various teachers have historically prepared students for the AP exam. What if I’m an international student and my school does not offer AP courses? Can I still get into top colleges in the United States? Top US colleges expect that you enroll in the most rigorous courses and to take advantage of the opportunities available to you. If your school—domestic or international—does not offer AP courses, you should consider enrolling in your school’s IB program or classes at a local college or university to demonstrate your drive and achievement.